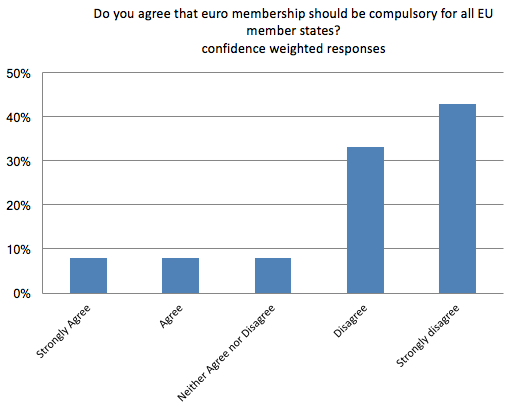 The European Commission president’s suggestion that joining the euro should be compulsory for all EU members is not well received by over three quarters of leading economists responding to the latest Centre for Macroeconomics and CEPR survey. This column also reveals how, when asked a broader question about the success of the common currency, half the experts think it has had more benefits than costs, while only a quarter think the opposite. 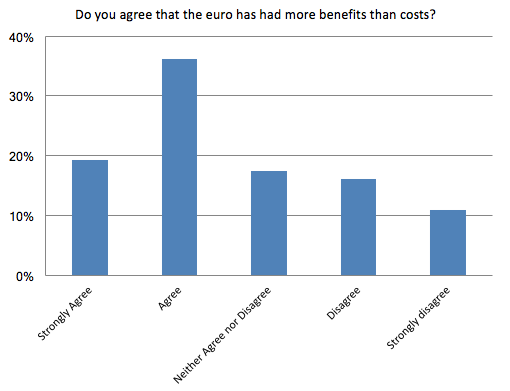 The majority view is that there have been significant benefits, but the way the Eurozone has been operated has also imposed significant costs. 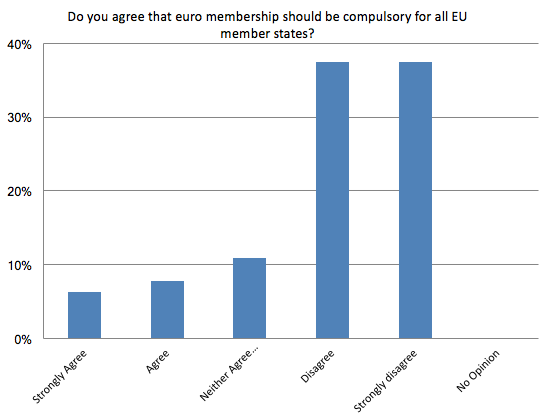 Question 1: Do you agree that euro membership should be compulsory for all EU member states? Sixty-four panel members answered this question. A strong majority of 76% either disagree or strongly disagree; 11% neither agree nor disagree; and 14% either agree or strongly agree. The outcome is similar when the answers are weighted with self-reported confidence levels. Juncker's remarks once again raise questions about the success of the euro (or lack thereof). The second question of the survey asked the panel of experts to make an overall judgement. Sixty-six panel members answered this question. Only a small minority disagree: 50% either strongly agree or agree; 24% neither agree nor disagree; and 26% either strongly disagree or disagree. When answers are weighted with self-reported confidence levels, then the fraction disagreeing increases slightly to 27%. Several of our panel members point out that this is a difficult question to answer. One reason is that it is not clear what institutions would have been in place in the Eurozone countries without the euro. 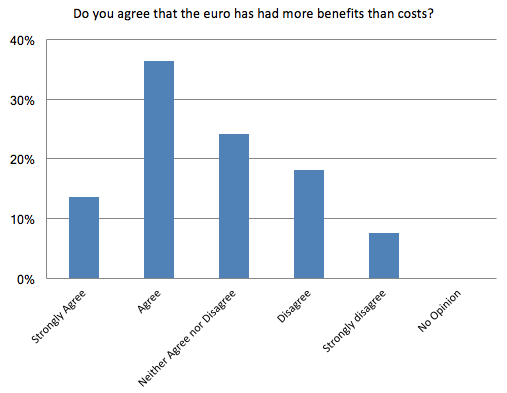 Moreover, this question has many dimensions and requires weighing of the impact of the euro for different countries and across different time periods. Disagreement among macroeconomists is often due to weighing the importance of different aspects of a problem differently. What is somewhat unusual about this survey is that there is also some disagreement about the benefits and/or costs of particular channels. The full speech can be found at http://europa.eu/rapid/press-release_SPEECH-17-3165_en.htm.